studied viola in Zurich, Stuttgart, and Ann Arbor (Michigan/USA, Master of Music in viola performance 1991) as well as musicology, philosophy, and psychology in Freiburg i.Br. (D) and Berlin (Dr. phil., Humboldt Univ. Berlin 2002). Simone Heilgendorff has as both––a scholar and a musician––for several years focused on baroque performance practice and on contemporary (art) music. She played on period instruments with ensembles such as Concerto Köln and Akademie fuer Alte Musik (Berlin) and was a guest with ensembles for contemporary music like the Ensemble Modern and Elision Ensemble (Australia). Simone Heilgendorff recorded the entire set of sound samples and extended playing techniques on the viola for the database "Virtual Orchestra" (formerly ISIS). Since 1993 she has been teaching musicology, historicallly informed performance practice, chamber music, and contemporary music performance as well as concept improvisation at different universities, among them Ljubljana University (Slo), the University of Vienna (A), the Hochschule fuer Musik "Hanns Eisler" and at the University of the Arts in Berlin (D) as well as the University of Magdeburg (D), the American College of Greece (Athens), and, as a visiting Professor of Musicology, from 4/2004 to 9/2006 at the University of Potsdam. From 2006 to 2018 she has been a member of the Advisory Board of the John-Cage-Organ Project in Halberstadt/Germany, and from 2011 to 2018 she was a member of the advisoray board of the Oesterreichische Musikzeitschrift. From 1/2007 to 1/2013 she served as a full professor of Applied Musicology at Klagenfurt University (A), installing and heading the Department of Musicology as well as taking charge of the program of Applied Musicology in cooperation with the Carinthian State Conservatory. 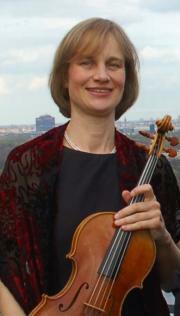 From 4 to 9/2013 she was visiting professor of Musicology at the Hochschule für Musik Detmold/Universität Paderborn (D). From 10/2013 to February 2014 she was be in an equivalent position at the Hochschule fuer Musik und darstellende Kunst Stuttgart (D). Since June 2013 Simone Heilgendorff works as a researcher and teacher at the University of Salzburg (Austria). She was head of the International research project "New Music Festivals as Agorai – Their Formation and Impact on Warsaw Autumn, Festival d'automne in Paris, and Wien Modern after 1980" at the division for music and dance studies, University of Salzburg (A) from September 2013 to December 2016 (the project has been supported by the National Science Fund FWF Austria). On October 1st 2014 the new program area "ConTempOhr. Vermittlung zeitgenössischer Musik – Mediating Contemporary Music" at Schwerpunkt Wissenschaft und Kunst, a cooperation of the University of Salzburg and the University Mozarteum Salzburg, started. Simone is one of the founders and head of ConTempOhr together with Martin Losert (Mozarteum Salzburg) und Katarzyna Grebosz-Haring (University of Salzburg).